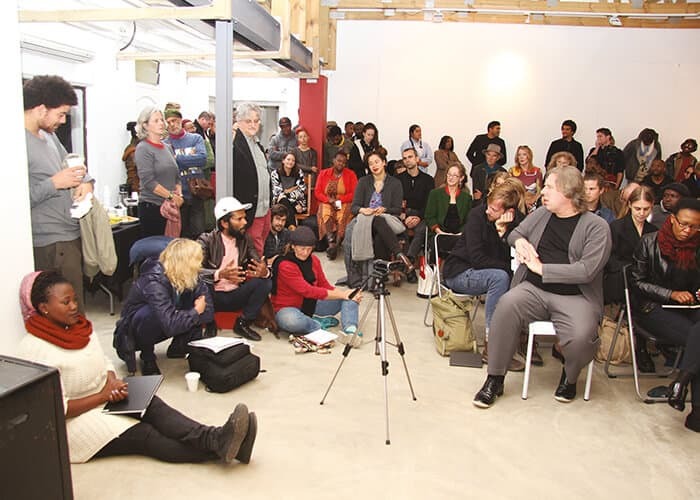 Crowded into the newly renovated Greatmore Studios in Cape Town, a congregation of artists, writers, gallerists, curators, educators, and facilitators sat down to an aptly titled panel discussion, ‘Making Space.’ This conversation took place a couple months ago, yet in light of the current #FeesMustFall movement, it would appear that the need for such conversations and the need to create alternative spaces for education and growth is more prevalent now than ever. Sikhumbuzo Makandula, detail of Izilo (ii), 2016. As part of the exhibition ‘In Search of a Nation’ at the Njelele Art Station, Harare, 2016. Image courtesy of the artist and Njelele Art Station, Harare. Organised by Thupelo, convened by Pamela Dlungwana and moderated by the prolific curator, academic, and writer Thembinkosi Goniwe, the event took place in June and sought to raise questions about the responsibility that arts administrators have in creating and sustaining spaces that allow artists to develop their vocabulary, whilst granting them access to markets and networks. The need for such spaces in South Africa (and globally) has always existed. An ad-lib example would be the formation of the Rorke’s Drift Art and Crafts School in 1963, one of the only places in South Africa that black artists could study and practice art during the apartheid period. Another is the Thupelo Workshop movement, to whom we owe the pleasure of this discussion. This sentiment formed one of the major threads throughout the panel discussion, and was shared by all of the other organisational representatives present, including Alessio Antoniolli (Gasworks, London); Joost Bosland (Stevenson, Cape Town); Josh Ginsburg (A4 & Atlantic House, Cape Town); Dana Whabira (Njelele Art Station, Harare); and Jonathan Garnham (Blank Projects, Cape Town). I was an undergraduate studying Art History at the University of Cape Town. I had a decent number of Marxist lecturers who told me how evil the market was; how galleries were manipulating artist’s creativity for their own profit. 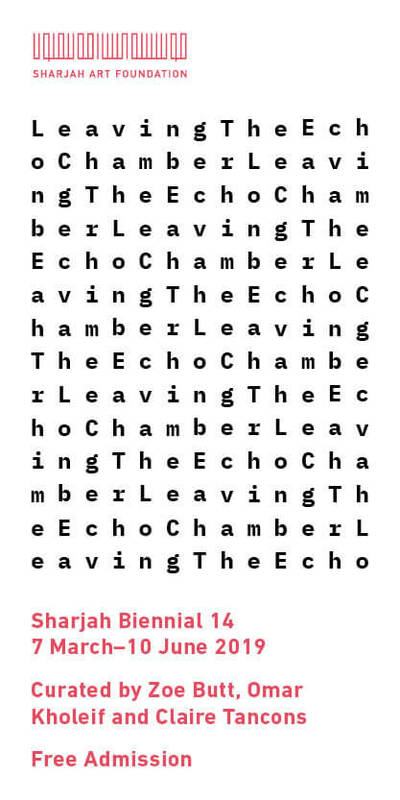 I decided to apply for an internship at a commercial gallery, to figure out how these evil entities work. 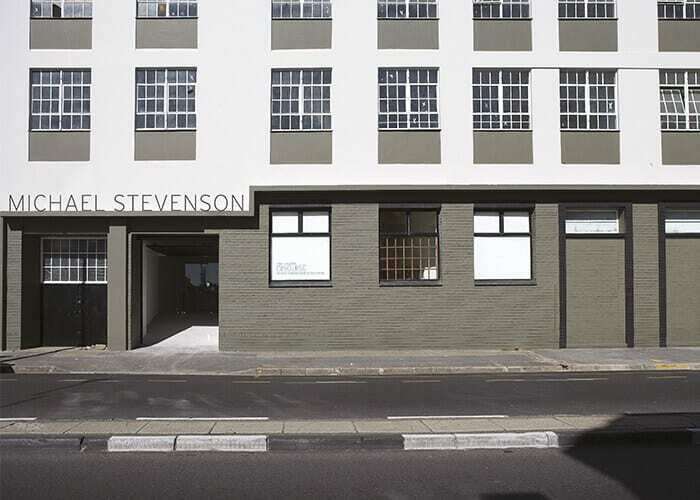 I applied for a bunch of internships with a number of galleries in Cape Town and Stevenson was the only one to get back to me. By the end of the internship I’d realised that I had stumbled upon this big contradiction. My lecturers had told me that artists are amazing, commercial galleries evil, and yet the artists really like the galleries because it allows them to make new projects when invitations from institutions aren’t forthcoming. It also allows them to buy their groceries every week through the sale of artworks. 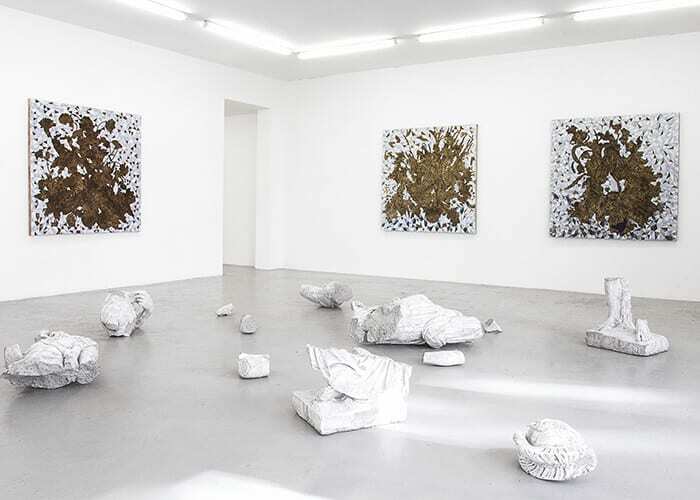 So, what does it mean that these artists, who are good, like these galleries, which are bad? Through conversations I realised that it’s always more complicated than it first appears. I realised that a gallery can really add value by allowing an artist to realise their creative ambitions. I’m generalising here, but the artists are the reason we exist and every time we do something we ask “how does this benefit our artists, are we loosing sight?” Amidst all of that, we need to keep clients happy, we need to do art fairs, we need to deal with the market realities, and we do it and we enjoy it and we’re good at it, but it really is all in service of the artist, creating a space that allows them to thrive. The word independent is not a word that I would use for Gasworks. We are very, very, dependent; on funders, on artists, dependent on all the constituents. We use the term ‘art-ecology’ when we do fundraising. It’s a useful word when you think about the various players. As Joost says, artists need commercial galleries, but they also need a place to think – to make mistakes, to experiment, to conduct research. I think that when we’re able to establish a good synergy between these various players, then we’ll be able to serve the artistic community in a useful way. People go and see a successful artist at Tate, but they need to start somewhere and they need to go through all these various channels. We’re all there, playing a role in that. We’re a network of grassroots organisations, mostly run by artists – a network that has partners in around twenty to thirty countries globally. The reason why I’m not giving you an exact figure is because we’re a very loose association. It’s a way of working, a philosophy built around the need of artists to come together into a situation where dialogue, exchange, and experimentation is paramount. Process over product makes Triangle work, it creates that mobility within the network. It’s something that artists have been able to appropriate and take home, to develop in different places, and I think what is interesting about this is that each member of the network really responds to the need of it’s local community. Even though we have a similar way of thinking, the way it manifests is very much independent. It’s not like Starbucks that looks the same everywhere. It’s much more about how that idea of exchange can be useful at a local level. 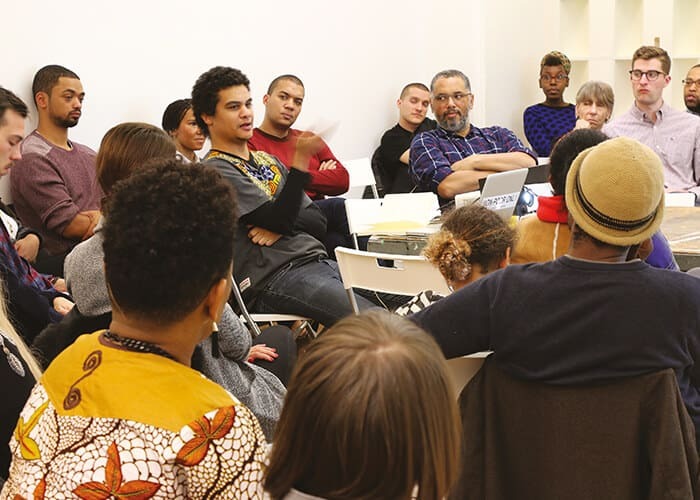 Justin Davy & Sean Jacobs: Intersections of Art & Protest from South Africa and Beyond, as part of ‘Art & … Decolonizing The University,’ March 15, 2016 at Triangle, New York. Image courtesy of Triangle, New York. Four years ago I started working with a view to build a South African collection of contemporary and modern artworks that would ultimately be a public educational instrument. That conversation quickly became quite complex. We started looking at what kinds of works were being well represented in galleries, and what kinds of practices were not particularly well-represented. We started to realise that a collection itself, and the way it builds itself, could ideally stimulate forms of practice that were not otherwise wellrepresented. This was something close to me because I had been a Masters student at Michaelis and had been involved in a community of artists. Many left the university and didn’t have many places to show work. That collection started to look at how it could influence Stevenson Gallery, Cape Town, 2008. Image courtesy of Stevenson, Cape Town 043 or support practices through collection policies, and off the back of this came the understanding that the need was greater, that there was this radical gap within the South African art ecology, between the academies and the commercial sector; both of which seemed radically intimidating for many of the audiences who were curious, but to an extent alienated, either because of the languages associated with the academy or the finances associated with the commercial sector. Our mandate was to try and widen access to contemporary art and support artists. It seems as if the real subtext to this discussion is the interface between the non-profit section, residency programmes that support artist’s practices, and the commercial sector. I’ve been slightly taken aback with some of the discussions that we’ve had over the last few days, where people have spoken about the residency programmes allowing an artist an opportunity to develop a practice that would be commercially successful. There are so many different kinds of success for artists. You could go a little bit further by saying that if you’re making really good work, it’s not going to sell, because nobody is going to understand it. There are so many great examples of that in history. My favourite one is René Magritte, the Belgian Surrealist-painter. Today everyone thinks he’s quite a conventional painter, but in 1947 he embarked on a series of trashy paintings, and everybody said “this is awful!” His wife said, “we’re going to starve!” He did it for about a year and then stopped. Subsequently when he sold a painting – the conventional paintings that we all know better – he would give one of these bad paintings away as a little bonus because nobody really wanted them. Forty years later, in the 1980s, everybody was trying to do trashy paintings similar to what Magritte was doing. I just wanted to say that because it’s really important to support practices, innovation and experimentation. It may be that if you’re going towards trying to find a niche in the market for your work, that you’re loosing track – you’re not making the best work. Buhlebezwe Siwani, performance on the opening of ‘Indlovukazi’ at the Njelele Art Station, Harare, 2016. Photos: Tinashe Hwindlingwi. 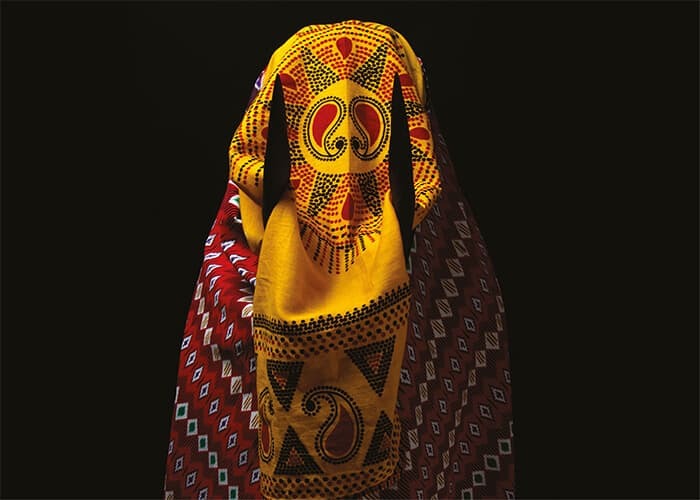 Image courtesy of Njelele Art Station. Harare Njelele Art Station is an urban laboratory; a space where different practitioners meet, a space where ideas are generated and resonate into the city. Our building has a barber and car parts shop that actually support the space. So it goes beyond just artists. The people within the locality, the inhabitants, inform and define what it is and how we can connect, not only through art but everyday encounters. I think it’s this idea of connection that is key. Understanding what Triangle actually is and understanding the possibilities of networks and connection is interesting. Njelele Art Station currently has an exhibition by Buhlebezwe Siwani (who’s based here in Cape Town), and Sikhumbuzo Makandula. Last year I was participating in an exhibition called ‘Towards Intersections’ in Johannesburg and Pretoria. Thembinkosi curated that show, and I think this highlights the possibilities of these encounters, because this is where we first started talking about the idea of Buhlebezwe and Sikhumbuzo being able to come develop and expand the project that’s now on show. 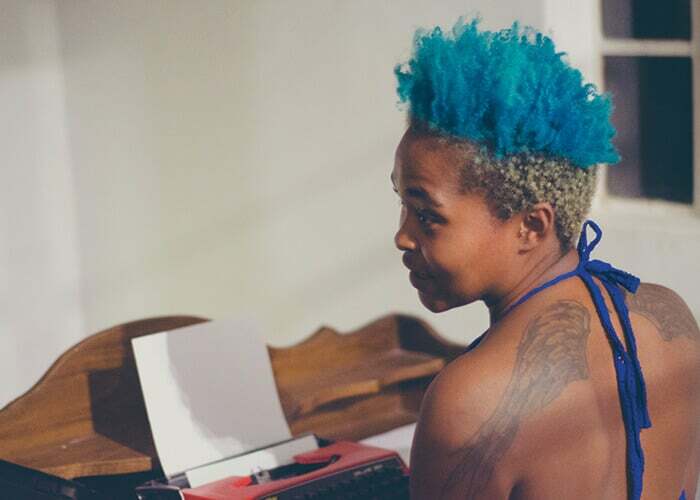 Sikhumbuzo did a collaborative performance with Moffat Takadiwa, who is a Zimbabwean artist. Their collaboration was very much about this exchange across borders, not only between people but also between products, and that continues to develop… I guess I really wanted to highlight that idea of personal connection and human relations that’s so often overlooked when we speak about these initiatives. It’s this idea of mobility, collaboration and exchange. Cinga Sampson’s installation of ‘UBUGQOBOKA MAGQOBOKA’ at Blank Projects, Cape Town, 2016. Image courtesy of Blank Projects. In 2003 there were only two or three galleries in South Africa, and these were very commercially orientated. I saw a lack of space and started to create one. I created it in the neighbourhood that I live in, Bo Kaap – a tiny space, eighteen square meters. The name speaks to that, ‘Blank.’ It opened in 2005 and by then I had got to know a few people in the community. I saw there was a need because we were inundated with requests from artists to do something in that space. I think one thing we should carry on talking about are the challenges of doing that. I ran that space for seven years, until 2012. I was receiving funding from a German and Swiss source. I wasn’t making a living from what I was doing. I have a family, and I felt after some years that I was going around with a begging bowl and a lot of people weren’t putting anything in it. 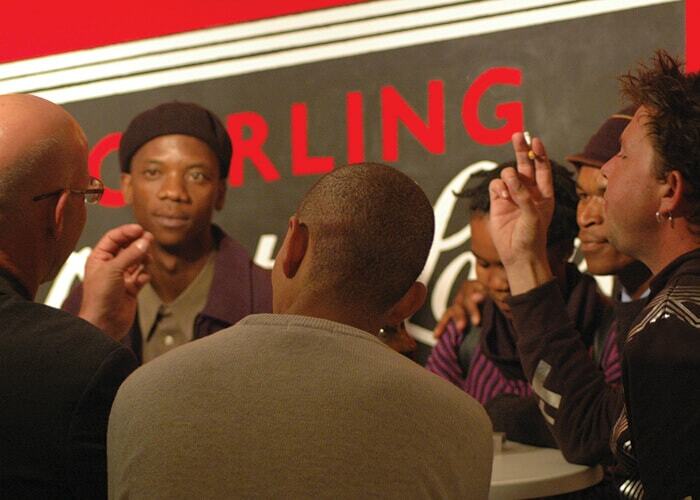 What we were doing was offering a platform to young, mainly South African artists, often their first solo exhibition. Not being able to make a living from it, I was teaching on the side, doing bits and pieces of my own practice, it was tough. On the other hand, we did about one hundred exhibitions over those seven years. During that time I’d see an artist come, project go, come, go. I started feeling this needs to work on a long-term basis with artists. I also felt it might be more meaningful, not only for me but for those artists and the community. A combination of being sick of being poor, running the space, and the desire to work on a longer term basis with artists and develop their practice persuaded me to move into the commercial sphere. It didn’t start with a business plan. It was quite a natural transition. I must say that I don’t regret the decision at all. I find it quite rewarding to see how things have developed for the artists that I work with and for the space. Right now we’re setting up an exhibition by Cinga Sampson, from Khayelitsha, and Bronwyn Katz, a 22 year old who has just graduated from Michaelis. We work with a small group of artists, ten people. It’s really them now that define what this gallery is. Sometimes I think that one speaks about ‘commercial’ as a dirty word, but as Joost was saying earlier, the artists that we work with are either making a living from their art or close to it, and that’s something that I’m very pleased with. ‘Making Space,’ a panel discussion at Greatmore Studios, 2016. Photo: Scott Williams. Image courtesy of Greatmore Studios. Audience: Triangle’s network provides a great model for how geographically disparate and perhaps unrelated organisations, NGOs and project spaces, can work together to create something greater. In South Africa, there are often informal networks but the formal networks aren’t there, other than perhaps VANSA. I wonder if there isn’t something for international visitors, who have worked on successful projects in this way, and South African artists, to consider the notion of collaboration between formal networks and informal networks? Alessio Antoniolli: Triangle has and continues to be an informal network out of necessity. If we had a regular stream of funding, a regular way of supporting each other, we would probably formalise. I also think funding will come with a much more formal structure, but i think in order to deal with the ups and downs – the moment of flurry, the moment when some of the partners become dormant or busy with something else – then the informality allows for the connection to remain. It’s less burdened by the formal structures and everything that comes with it. Gasworks (or other partners within the Triangle network) have formal relationships with other partners because they’ve been developing a project which lasts for a certain amount of time. These projects have a beginning, a middle, and an end. Until now Triangle has had a beginning and a middle. Hopefully we’ll carry on with that middle, and that’s why we need to keep it as open as that. Joost Bosland: One thing that’s interesting is how, for the commercial sector, the art fairs become like formal networks that speak on behalf of the galleries – I think that’s true internationally. Organisations like Frieze and Art Basel represent some sort of central organising principle. 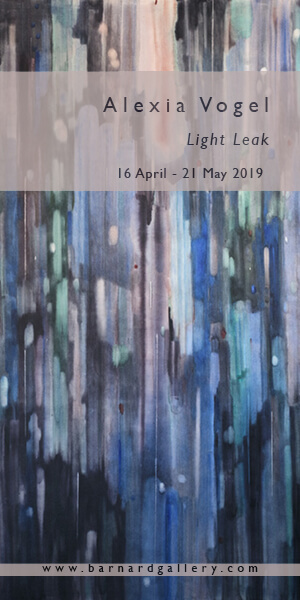 Locally, it’s yet to be seen if Matthew [Partridge] or Mandla [Sibeko] from Cape Town and Johannesburg Art Fair will fulfil that same role, but I think the informal networks are much more powerful and more efficient than the formal ones. I get a little bit terrified at the thought of some sort of grand council of South African art spaces. I felt uncomfortable enough looking around this room and seeing all the different parties and stakeholders here, people that quite often don’t meet or speak outside panels like these. So I think it would be a difficult one to pull off and I don’t know how effective it would be. Audience: It seems from the conversation I’m hearing, that there are some people that ‘make’ space and some people that ‘occupy’ space. I’m wondering how that negotiation happens? How do we negotiate the fine line between inclusion and exclusion when making a space? Alessio Antoniolli: When you’re creating a space you’re also creating an identity for it, you’re giving it a mission. That, by default, creates a number of people that feel affiliated to it (your core group), and others who don’t feel part of it. It’s very difficult to be everything to everybody, and if you do try it’s very likely that you fail, that you may spread yourself very thin or that you try and tick so many boxes that at the end you don’t do anything properly. Whether physical or conceptual; when you create a space, you’re creating something that has boundaries. It’s how porous those boundaries are and how you’re able to inject flexibility that it is interesting and useful. Ultimately though, you’re giving something a shape, and that is both a way of understanding and delineating it. Alun Williams: The last time that I talked in Africa was in Kenya. We had an audience of artists who were all saying, “If only I could get to New York everything would be great,” but the vast majority of artists in New York are struggling like crazy. They have to work several jobs to be able to afford their studio, where they never spend any time, because they’re working a job. So it’s never a paradise. In the end it’s a question of individuals and who has the power. If you set up a space, if you manage to get everything together to set up a space, then you’re going to be the person who decides what happens in that space, directly or indirectly. Gugulective at Blank Projects, November 2007. Photo: Mendi Pantsi. Image courtesy of Blank Projects. Audience: These experiences have come from that end of society that has privilege. I’m thinking of those who have tried to create a space for their own art in a very divided society, a society of great inequality. I don’t know whether anyone can speak to that, whether it’s possible, but how do we start to talk about that? Joost Bosland: I’m speaking from a huge position of privilege. I’m middle-class, I’m white, I’m male, I’m even straight. I think it’s very difficult to speak about privilege from a position of privilege. We can acknowledge it, we can be aware of it, but I think that discussion is being held much more effectively by people who are creating a space, like iQhiya, Burning Museum, what Guglective used to do… There are initiatives out there that are dealing with these very questions, and I guess I’m much more comfortable listening to those discussions than speaking on the topic, because there’s no way out for us. I don’t mean that in an apologetic way. We’re very proud of what we’ve built, we’re very proud of what we’re doing, but it’s impossible to reflect from any sort of point of view outside of our privilege. It’s real, and it’s necessary to think about, but I don’t think I can add anything meaningful to that conversation from where I’m sitting now.